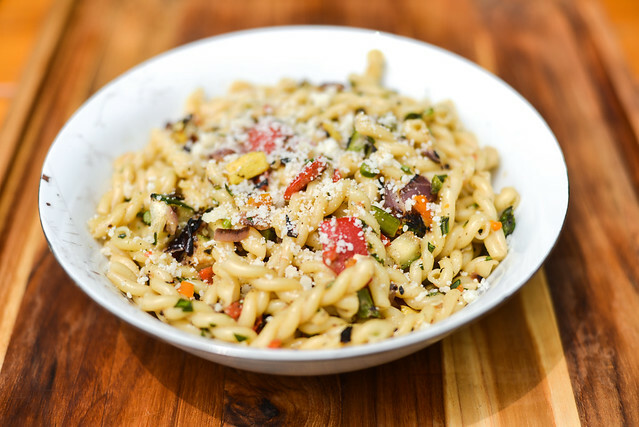 Pasta primavera was once my answer to an almost weekly problem—what to do with loads of veggies from our CSA. For me, roasting whatever bounty we received that week and then tossing them with pasta was an easy, and consistently delicious, solution. The repetitiveness of the CSA ultimately led me to jump ship, but pasta primavera has remained in my life as a fairly healthy meal that's quick enough to put together on a weeknight and makes for good leftovers. I'm not sure why, but I've always roasted my veggies in the over for this and never thought of utilizing my grill until recently, which is a shame, because the results were decidedly even more awesome. 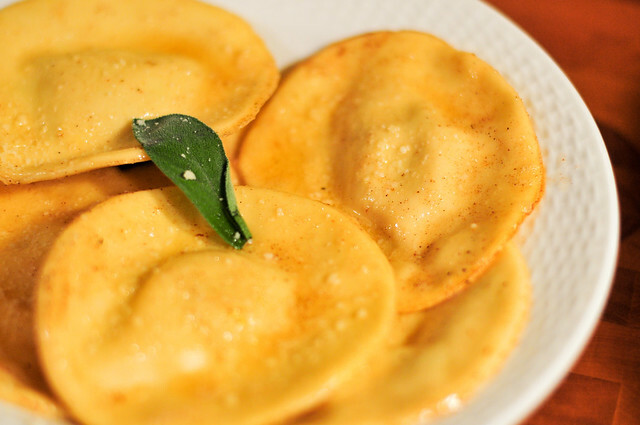 All Hail the Pumpkin Ravioli King! Pumpkins, pumpkins, pumpkins! Last week it was an influx of apples, this week it's all about pumpkins. Unlike the CSA being the root of my apple predicament, I'm the creator of on my own pumpkin destiny, and when I see them just about every step I take right now, I just seem to want them all the more. Along with a few big fellas for carving taking up the majority of my kitchen table, I'm quite fond of the smaller sugar pumpkins, who can still undergo the transformation into a jack-o-lantern, but do even better in edible incarnations, like this pumpkin ravioli.